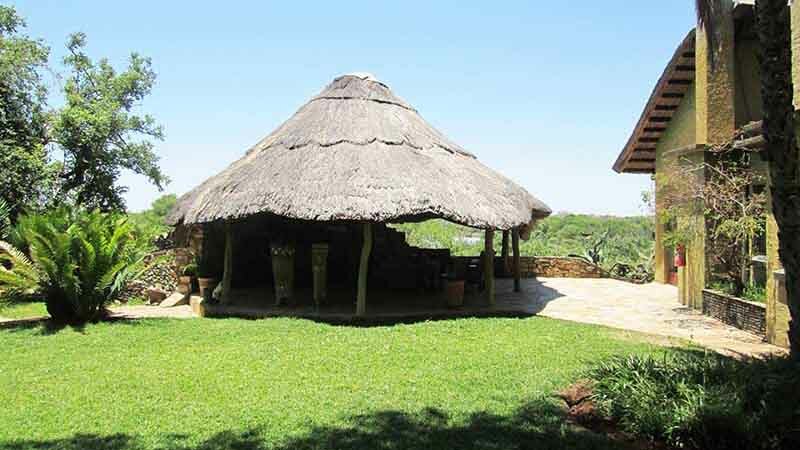 Sondelani Game Lodge and it’s surrounding hunting area is situated approximately 220 kilometers South of Bulawayo. 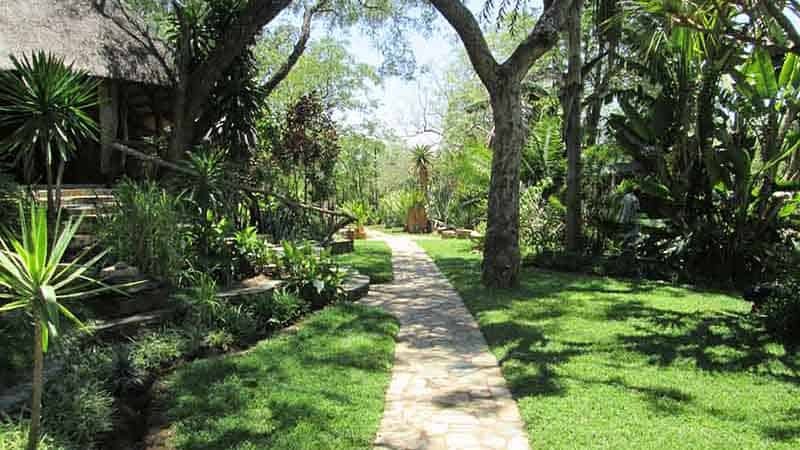 Found along what is known as the Bulawayo – Beitbridge highway, the lodge is a very easy 2.5-hour drive from Bulawayo. 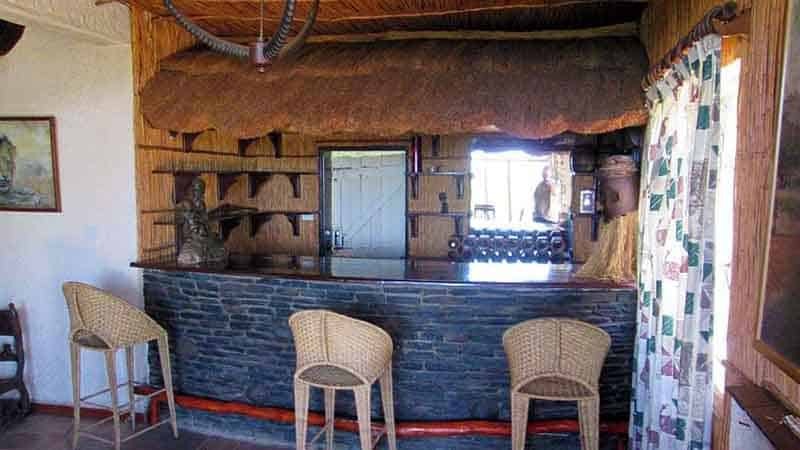 The Sondelani Game Lodge offers stunning vistas that overlook the nearby dam and surrounding hunting area. 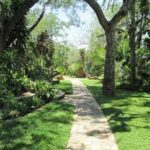 The gardens offer shady spots in which to enjoy the beauty of the setting and the charm of the thatched buildings is restful and cooling. 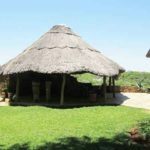 This is an ideal location for a client to accommodate his wife and family, while he is out in the field, and for them to enjoy the African experience too. However, the main attraction is Buffalo. 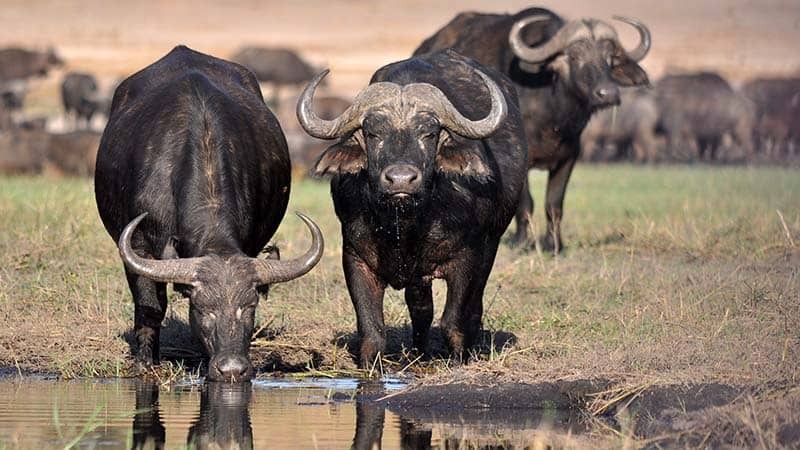 There is a large population of between 250 to 300 buffalo present on Sondelani. 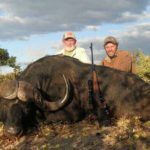 Through careful offtake of a limited number of Buffalo bulls per year, on an exclusive basis per client, Gary believes that he can offer the serious Buffalo hunter an affordable but challenging fair chase safari. As previously mentioned, the property is game fenced. Therefore, the Buffalo that inhabit this area have been hunted here before and are very wise to the sounds and smells that emanate from hunters. As a result, in order to bag a decent Buffalo trophy that is on offer at Sondelani, a fair amount of walking, glassing and extremely careful stalking is required. Perfect for the hunter who is up for a challenge. 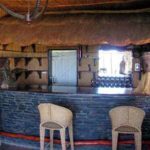 Alternatively, 2 hunters can take advantage of the sleeping arrangements per chalet, thereby enjoying a more affordable budget. 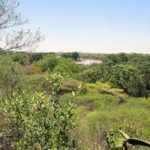 Whilst there is no internal fencing in this prime game habitat, the hunting area surrounding the lodge has a perimeter game fence and encompasses 22,000 acres of wild, natural bush. 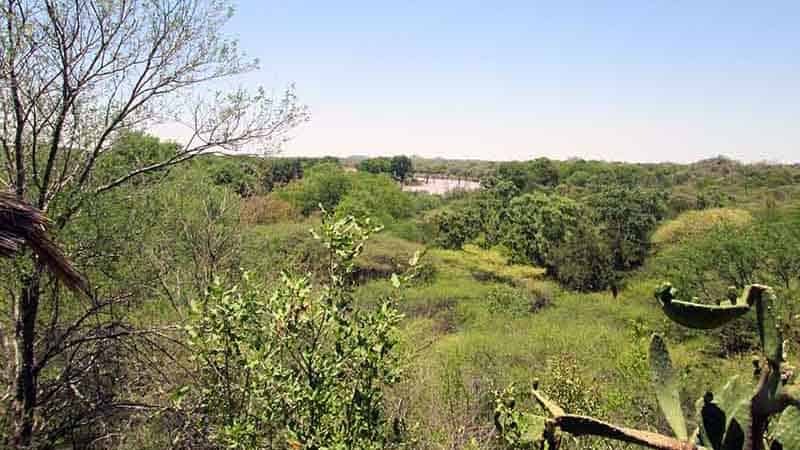 The land supports populations of Buffalo, Impala, Wildebeest, Giraffe, Kudu, and Warthog. If you are looking for a more comprehensive hunt, then the Matetsi hunting area is the best option for you. As Buffalo is the main attraction at Sondelani, a special package for hunting Buffalo is on offer. 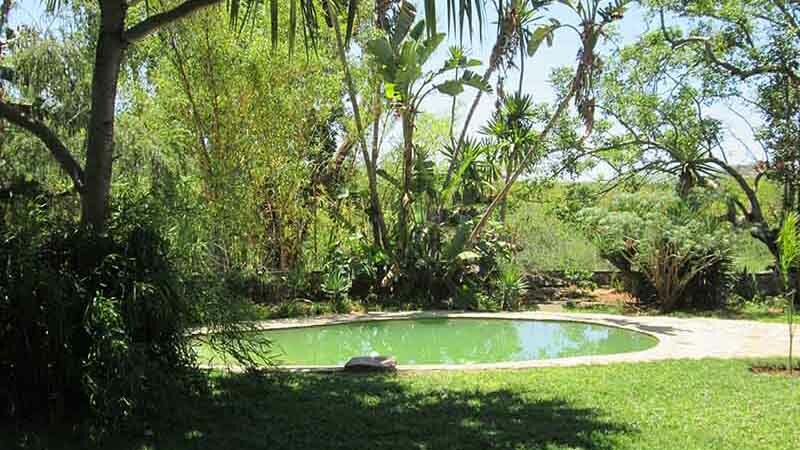 The lodge has thatched accommodation facilities all set in beautifully maintained lush gardens. The 6 fully serviced chalets set in the green surrounds sleep 2 people per chalet, all with en-suite bathroom and toilet facilities. There is a fully serviced dining room for all our meals along with an outside thatched bar area overlooking a swimming pool surrounded by lush tropical vegetation. Where Is Sondelani Game Lodge? Do not hesitate to contact us for bookings or enquiries. Matetsi Unit One is the premium dangerous game hunting concession in Zimbabwe. The Sikumi and Ngamo area have natural teak forests with plentiful game opportunities. Zimbabwe has first class hunting of both dangerous and plains game. 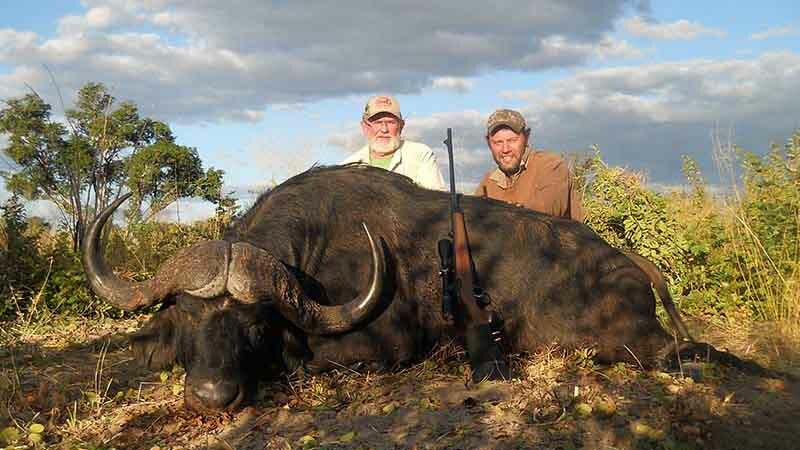 Gary has decades of hunting experience in African big game. We customize and taylor make your hunting safari to suit you. We will strive to make your hunting experience an unforgettable one. 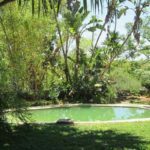 With our expertise and attention to detail, you will leave definitely planning to come back for more of the same. 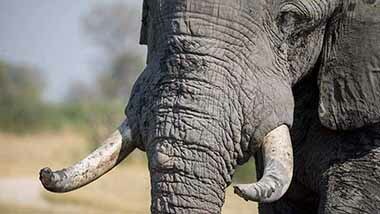 Make Zimbabwe Hunting Safaris your number one choice. © 2019 Zimbabwe Hunting Safaris. All rights reserved.